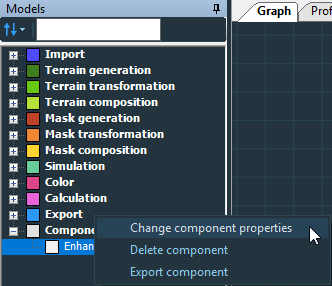 Select a component or components in the Models window and either select Edit > Change component properties or right-click and select Change component properties in the contextual menu. 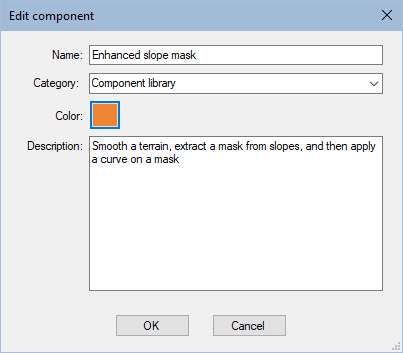 Select Change component properties to open the component's properties window. Rename the component, change its color, or its description. Select a category, or create a new category by simply typing a name in the Category box.